This Personalized We Love You Photo Frame makes a great gift for Grandma and personalized Mother's Day gifts! 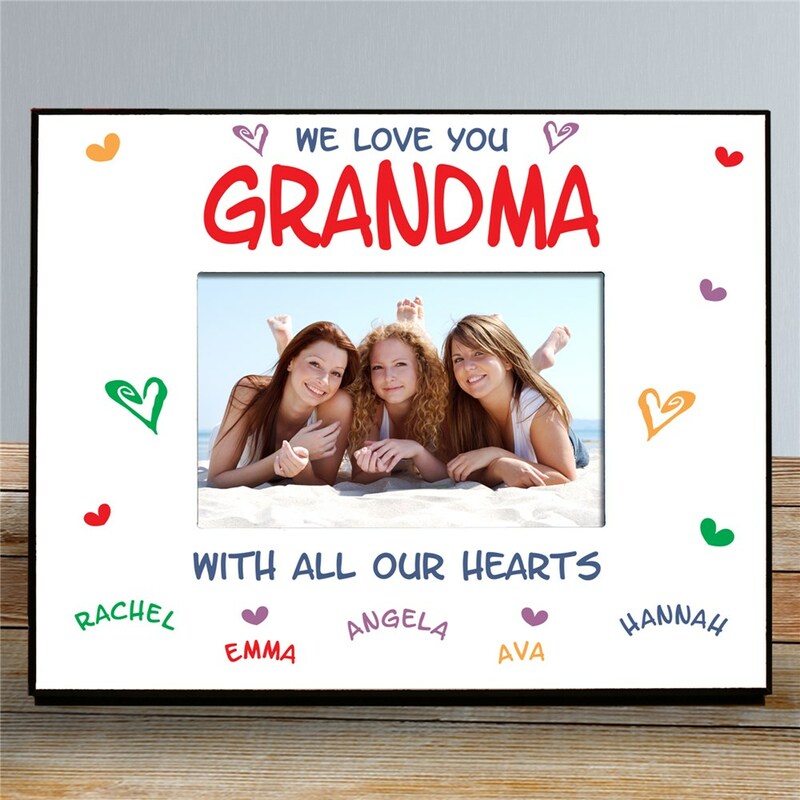 Include your favorite photo of all her grandchildren along with their names to make a thoughtful gift for Mother's Day, Grandparents Day or her special Birthday. This touching Photo Frames may be personalized with any title such Grandma, Daddy, Mommy or any one and up to 12 children's names. Example: "Grandma, Nana, Grandpa, etc." My wife loved this it was personalized just for her. This was one of the neatest gifts. I was able to have all 10 grandkids names on it for my mom's Mother's Day gift. She loved it!